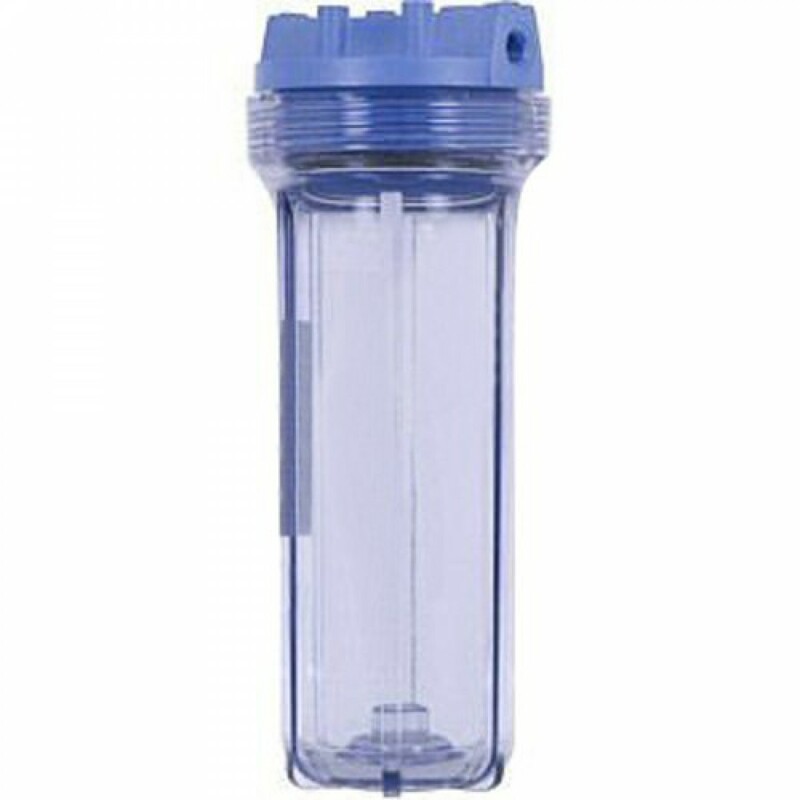 The Pentek 158008 10-inch Slim-Line Clear Water Filter Housing allows you to visually inspect your filter to ensure its optimal performance, water flow and cartridge life. The space-saving design of the Slim-Line housing lets you install your housing in limited spaces while still filtering with the great capacity of larger housings. The 158008 work wells in a variety of low flow applications, under your sink or on the countertop, as well as in pre- and post-Reverse Osmosis Systems. This housing may also be used in some humidifying systems, recreational vehicle filtration systems and food service applications. 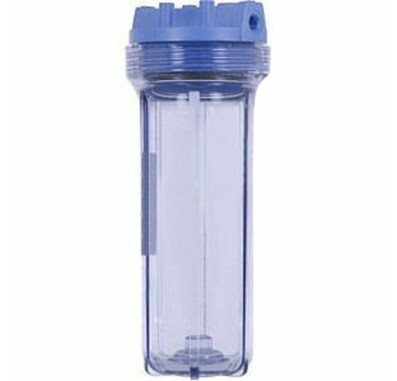 The Pentek Slim-Line Filter Housing fits standard 3/8-inch water lines. Reduces space required for installation without sacrificing filter capacity. Prevents leaks and clogs with a dynamically sealing, self-cleaning o-ring. FDA grade materials. Structural integrity NSF/ANSI Standard 42 tested and certified.